you have no idea what you are doing do you? Imagining them naked isn’t going to get you through it this time either! But you don’t have to worry. Your secret is safe with me. Why? Because I feel the same way. 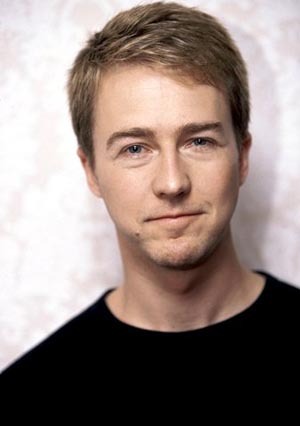 Edward Norton feels that way every time he starts something new and he has acted professionally for 20 years! And if the people you work with and work for were really honest they would tell you they feel the same way. That is OK. That feeling is never going to go away. Get comfortable with it and do it anyway. The catch is that once in a while you are right. You really don’t have any idea and whatever it is you are doing IS going to fail. That is OK too. Do it anyway because the thing you learn from the failure will be the key to your future success. So the next time you walk into that room to present your vision to the world thinking that this will be the day that everyone else figures you out … don’t bother using that old trick of imagining everyone else is naked to try to calm your nerves – just remember they all feel the same way you do. They are worried you will figure out they have no idea and, because the best defense is a good offense, it is the reason why they will challenge you and try to call your vision into question. Be gentle with them. They are afraid and you have nothing to worry about. You lovely open, lighthearted yet ‘call to action’ post made me chuckle Paul! Had a speaking gig last night, and you’re right, no matter how many times you do them, there’s always a tinge of what you describe above before relaxing into the swing of the presentation! If we all admitted our ‘secret’ more, we’d give ourselves and others permission breathe a sigh of relief and relax. It’s increasingly obvious in this image-obsessed world that keeping up appearances is of limited value, and is a barrier to REAL communication and understanding. Moving into an era of sharing our vulnerabilities, and cultivating humility is what can truly connect us and dissolve what divides us.